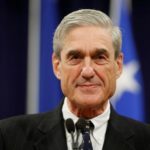 Special Counsel Robert Mueller has had plenty of good days, arguably just a few bad days, and plenty of days where we haven’t known enough about what was going on behind the scenes to be able to figure out how to categorize them. But today was, undoubtedly, one of the better days that Mueller has had yet. Remarkably, Robert Mueller didn’t even do anything today, at least not that we know about. Yet he’s spent the past twenty-four hours scoring one victory after another. Matthew Whitaker, who was installed by Donald Trump for the sole purpose of sabotaging Mueller, utterly imploded on the witness stand today in front of live national television cameras – and that was just the half of it. Whitaker had already failed to stop Mueller when it came to moves like the indictment and arrest of Roger Stone. Now, with just a week left on the job, if Whitaker had been planning any hijinks on his way out the door, today’s debacle surely scared him into thinking twice. It’s also a given that Whitaker’s upcoming replacement, William Barr, was watching intently today. If Barr so much as lifts a finger in Mueller’s direction, he’ll end up facing the same fate that Whitaker faced today. There are a number of other things going right for Robert Mueller at the moment. Jeff Bezos just handed Mueller’s allies at SDNY new leverage to force David Pecker to more fully sell out Donald Trump and his kids. And if Mueller didn’t already know that Trump, Pecker, and Saudi Arabia have been criminally plotting together, he does now. This day just keeps getting better for Mueller, and it’s still only 8:30pm.